There’s a huge new traffic and promotional widget being provided by income.com. Its called Blog Rush. 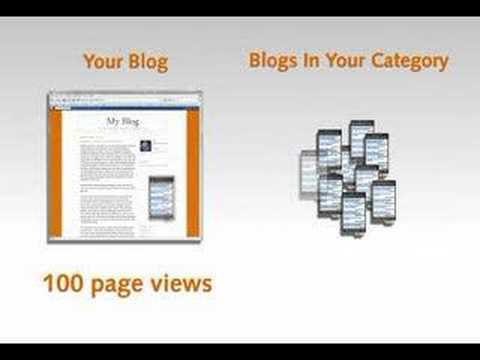 Its essentially an enhanced link exchange for bloggers in a neatly organized widget. Best of all it displays other bloggers posts that directly relates to your own blog unlike typical link exchange programs I’ve seen. It works by recording how many times it loads and how many times it loads from people you’ve referred. They also have a 10 step tier system which allows a huge advantage if you get into this early when few bloggers have signed up yet. You can sign up at this link: Sign Up For BlogRush. UPDATE: I used this up till July 2008. It in total has sent me maybe one visitor every other day. Based on my google analytics these users have the highest bounce rate than most other resources that are sending me traffic. Not to mention I am backlogged millions of credits that cannot be spent fast enough. Blogrush was a big deal of hype and an even bigger waste of time. Would not recommend. I think this will be a good thing for the blogging community. I have it setup on my blog as well. Once they get all the bugs fixed, I think this will help bloggers out with getting traffic, and awareness. It will be a great platform for networking. Now we have to watch how much traffic can be driven by this widget.